Carolyn Haines is the NMPCC’s director and a full-time primary care provider. 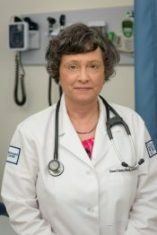 She is a family Nurse Practitioner with many years of primary care emergency department experience. She has both her BSN and MSN. Haines’ interest areas include chronic care management of diabetes, hypertension, hyperlipidemia, women’s health, health promotion and acute care management. 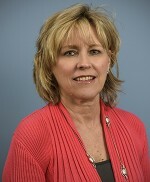 Susan Conaty-Buck is a certified Family Nurse Practitioner with many years experience caring for patients of all ages. Dr. Conaty-Buck practices patient-centered care and encourages patient communication and collaboration with a goal of improving health and wellness. She is also an assistant professor in the School of Nursing. Dr. Conaty-Buck completed her Doctor of Nursing Practice and Master of Nursing degrees. Her research interests include healthcare informatics. 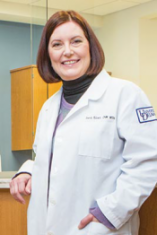 Sandy is a Certified Nurse Midwife with over 25 years of experience in Women’s Health. She has worked in a variety of practices in Delaware, caring for women from Adolescence through Menopause. She is currently a full-time Instructor in the School of Nursing at the University of Delaware. Her areas of interest include incorporating the needs of the LGBTQ community into primary care, presenting various contraceptive options for all women, and providing options for women with menopausal symptoms. Jenny Hughes is a family Nurse Practitioner, part-time Instructor and clinical site director for the graduate Nurse Practitioner Program. She has 18 years experience in primary care and specializes in the care of diabetes and women’s health. She is also is a member of our Parkinson’s Clinic. 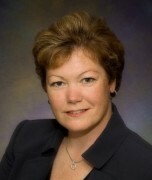 Beatrice Gaynor is an experienced Family Nurse Practitioner certified by the American Nurses Credentialing Center. She has worked clinically in geriatrics, critical care, family practice, and adolescent health. Beatrice’s research focus is exploring the gap between research based knowledge and clinical utilization of disease risk measurements in primary care. Jeannie coordinates scheduling for the Center and answers all patient questions about insurance eligibility and Center services. Prior to joining our team, Jeannie spent many years as an Ophthalmic Technician and as an Office Manager at a plastic surgery office. Jeannie enjoys helping new patients become acquainted with our practice, and loves being a part of the UD community! Care Coordinator Christine Smith has been a registered nurse for over 25 years. In addition to her clinical experience, Christine worked for many years in managed care, in Case Management, Quality Management and Medical Record Review. Christine coordinates referrals to clinical partners and community agencies and works with patients to ensure that they are informed on preventive care opportunities. Christine serves as a mentor to our undergraduate nursing students. Patti is the Office Manager for the Nurse Managed Primary Care Center, where she ensures the daily operations run smoothly. In addition to managing the office, she also handles all of the insurance/billing needs for the Center. 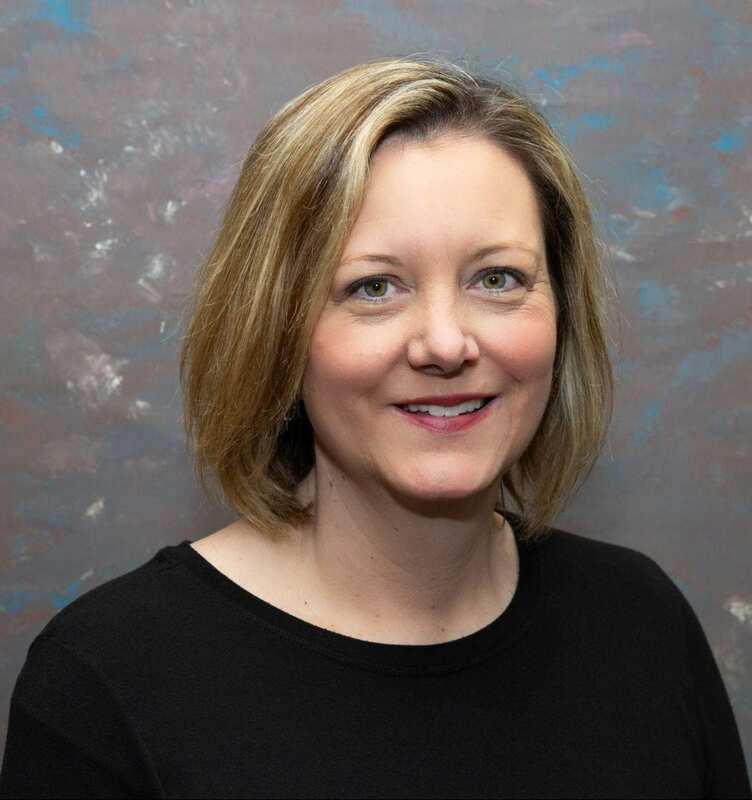 Patti completed her Associate’s degree in Business Administration in her hometown of Harrisburg, PA.
Tanya Heggans is the Practice Analytics Consultant for the PD Clinic. She works with the clinic administration, research director and biostatistician on integration of telemedicine outcomes data and generation of reports from this data. She received her BA from the University of Michigan and JD from the University of Detroit Mercy. 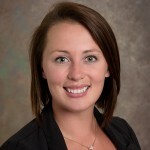 Sharon Collison is a licensed, registered dietitian, board certified in sports dietetics. Collison has a master’s degree in human nutrition with a focus in exercise physiology and sports nutrition. She specializes in providing medical nutrition therapy for weight management, disordered eating, sports, wellness and cardiovascular nutrition. Maryann Eastep is a registered dietitian for more than 25 years. She has a master’s in health promotion. Previously, she provided consulting dietitian services to schools, long-term care facilities, adult day care centers, bariatric centers and psychiatric hospitals. She provides Medical Nutrition Therapy for weight management (including bariatric nutrition) diabetes, cardiovascular, gastrointestinal and renal nutrition. Tara Leonard is a clinical instructor and health coach with a master’s degree in health promotion. Her expertise includes health behavior change through health coaching in individual and group settings. In addition to teaching undergraduate courses, Overstreet is an assistant professor and co-coordinator of the Clinical Exercise Physiology Masters program. Brittany is also a Registered Clinical Exercise Physiologist through the American College of Sports Medicine. She earned her PhD at the University of Tennessee. Scotolati is a clinical instructor at the University of Delaware. 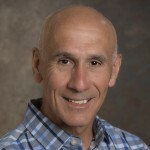 In addition to his teaching responsibilities, he oversees the clinical internship rotations for the graduate clinical exercise physiology students. Scotolati earned his BS at the University of Delaware and his MS at West Chester University. He has more than 20 years experience in clinical exercise physiology settings. To provide health, wellness, prevention and coaching services for individuals throughout their life span, connect people to research studies, and prepare student learners to become healthcare leaders. Wednesdays: 8 a.m.– 7 p.m.
540 South College Avenue; Suite 130, Newark, DE 19713.